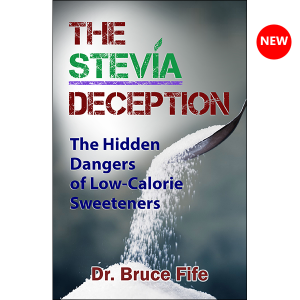 By Bruce Fife, N.D. | Foreword by Conrado S. Dayrit, M.D. Discover the amazing health benefits of coconut oil, meat, milk, and water. 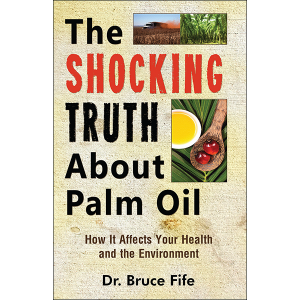 In this book you will learn why coconut oil is considered the healthiest oil on earth and how it can protect you against heart disease, diabetes, and infectious illnesses such as influenza, herpes, Candida, and even HIV. There is more to the healing power of coconut than just the oil. You will also learn about the amazing health benefits of coconut meat, milk, and water. You will learn why coconut water is used as an IV solution and how coconut meat can protect you from colon cancer, regulate blood sugar, and expel intestinal parasites. Contains dozens of fascinating case studies and remarkable success stories. You will read about one woman’s incredible battle with breast and brain cancer and how she cured herself with coconut. 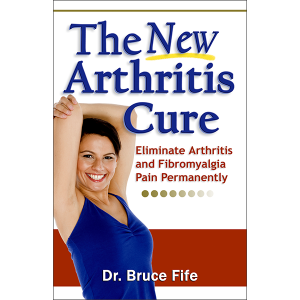 This book includes an extensive A to Z reference with complete details on how to use coconut to prevent and treat dozens of common health problems. Statements made in this book are documented with references to hundreds of published medical studies. 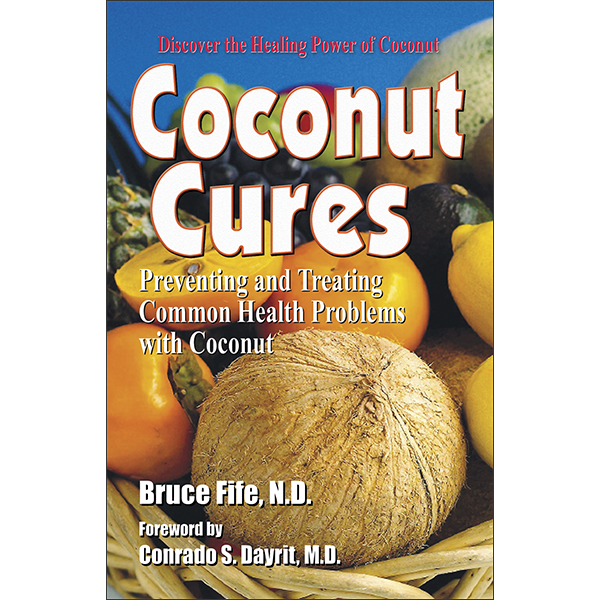 The foreword is written by Dr. Conrado Dayrit, the first person to publish studies showing the benefit of coconut oil in treating HIV patients. This e-book is the complete book, formatted just like the printed edition. Read your digital content online with the RedShelf cloud reader on any internet enabled device. Offline mode (for Mac, PC, and mobile devices) — Single user for login/access. I absolutely love to read books that teach me about the goodness in the foods that are available to us; this book certainly brought me joy. Discovering the amazing health benefits of coconut meat, milk, water and oil just amazed me. Here are just a few things that the coconut can do for you; prevent heart disease, dissolve kidney stones, enhance the immune system and protect against cancer. Wow! What an eye opener. The book starts out with explaining about the coconut and giving you some examples how those on islands use it. Very interesting! After that, the author goes into the healing aspects of the fruit, from the meat to the oil. He does this in a very concise and easy to understand manual; giving you examples of what they can do for you, how to use them and also gives testimonies on how this fruit has helped others. that is interested in being a healthier person. I believe you will find many health reasons to give coconuts a try – A read well worth your time. 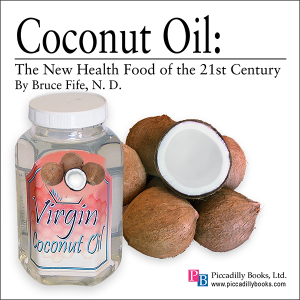 It was Bruce Fife who popularized the health and medical uses of coconut oil. Now in Coconut Cures: How To Prevent And Treat Common Health Problems With Coconut, Fife goes beyond coconut oil to reveal and explore the health benefits of the entire coconut including the coconut’s meat, milk, and water. Coconut Cures describes why coconut water can be used and useful as an IV solution for sick patients because it has a chemical composition similar to human plasma and therefore injected directly into the blood stream while be a rich source of vitamins and minerals. Coconut meat can help balance blood sugar and control diabetes, protect against cancer, ease painful colitis and the discomforts of irritable bowel syndrome, help with weight loss, expel intestinal parasites, improve digestive function, aid in the elimination of hemorrhoids and varicose veins. More than a simple theoretical discussion of coconut benefits, Coconut Cures provides the reader with step-by-step instructions on how to use coconut to treat an A to Z list of many common health problems. Coconut Cures is a welcome and enthusiastically recommended addition to alternative health and medicine reference collections and reading lists. The book, Coconut Cures, is one of the most comprehensive health books about the use of one natural fruit-product for optimal daily health that I have read. People who are having trouble losing weight, like me, should try to continue a more organic approach. After reading this book, I was willing to at least try raw coconut meat and its milk. Results have been positive. If you’re searching for a new method for improving your body and preventing routine illnesses, I would suggest exploring this excellent book too. Of the many, many books I have read on health and nutrition the approach by Bruce Fife has been the best I have come across. I have tried many approaches but this is the one that has worked for me. This title is no exaggeration. We are talking cures. If you are new to the many health benefits of using coconut oil, this is the first book to read. It will get you excited about gaining more energy, losing weight, improving your skin, killing yeast in your gut, boosting your thyroid function, and on and on. All I can say is wow. I have been taking 2 tablespoons of VCO per day for a month, and I can say it really works. I have read many other books on this topic, but this is my favorite. As I was reading I had to keep jumping up to tell my husband each new impressive statistic. 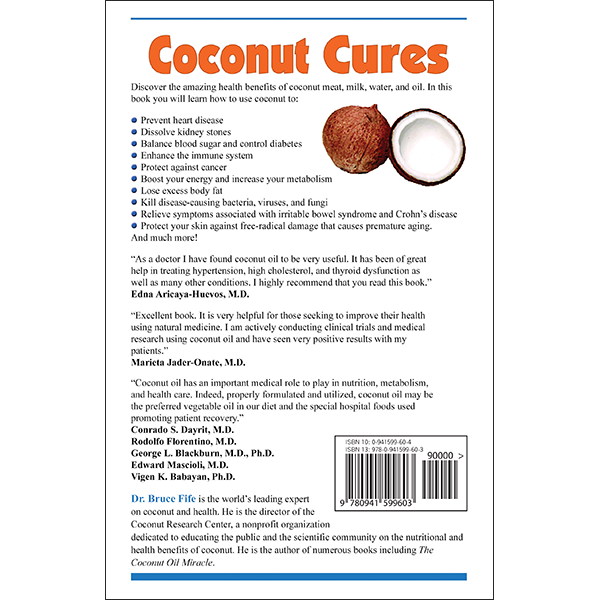 This book is great; easy to read and follow, very informative; it’s like being your own doctor, taking charge of your own health with what nature has given us…….COCONUTS!!! One can live on coconuts as they have all the nutrients that our bodies need. Tom Hanks survived on coconuts for four years in CAST AWAY. Can I Give This One Additional Stars? This is an excellent reference of a very simple, healthy, natural product that has so many wonderful attributes. In the short time I’ve owned the book and used coconut oil I know my health has improved! I’m telling everyone about the benefits of this wonderful product!